As they continue their hyper-growth track, ride-hailing applications will continue to focus on acquiring customers. The companies, like Lyft and Uber, play a delicate game of supply and demand. As platforms that facilitate a two-sided marketplace (riders and drivers), these companies are suffering a chicken and egg problem. They need both riders and drivers for the platform to work, but drivers are sorely underutilized. Millions of ad dollars go to billboards and tv commercials while these businesses ignore their most powerful brand advocacy channel; the drivers. How can ride-share apps capitalize on their drivers? Train drivers on your brand, help them foster a sense of pride in their work and entrench them in the local community. Train the drivers on your brand. Left with these parting words, “Always ask if the rider would like to use google map directions, or if they prefer their own route,” drivers are left painfully unaware about the brand they’re representing and how that translates to dollars and cents. Ride-sharing apps could see major benefits from offering immersive brand experiences for training drivers. An army of brand advocates could be preaching their brand’s message at an astounding scale. Show drivers what the brand means, how that’s best presented to riders, and connect that to their revenue. Help drivers nurture a sense of pride in their work. Part of the problem is ambiguity around whether drivers are customers or employees. For now, ride-hailing programs look at drivers as “partners” and “contractors” instead of employees. There are some legal benefits to this decision, but from a business perspective, drivers still endure recruiting and training that would not be a part of a typical customer’s onboarding process. As part of their global hiring and retention practices, ride-share apps tout core values like “We build globally, we live locally, we are customer obsessed, create fearlessly, and uplift others.” But based on their marketing and context, it would seem that these core values are only communicated to and embodied by internal employees. These companies’ communications certainly provide an understanding of their culture and values to internal employees. But when is that communicated to drivers? How are drivers empowered to carry that brand message in their everyday interactions? Brands that treat drivers with the same respect and consideration as internal employees, will see major benefits including greater retention and reduced competition in the driver pool. Bring drivers into the fold, and give them the tools to understand, represent, and take pride in partnering with your brand. Community is essential for an employee’s sense of belonging and pride in their organization, but it’s also an important value proposition for customers. Consumers are asking, “How is the business contributing to my community and where do I fit into that community?” How do you think drivers would answer? One of the best examples of a rider share creating a remarkable experience for both customers and drivers is RideAustin. Before their acquisition, they were a nonprofit, community-based rideshare service that helped drivers to earn more profit by shirking a commission (common in other applications). They believed that there was power in the local model and pursued that strategy in their community. Drivers and riders alike prefer the corporate practices of community-minded services like RideAustin, but Uber and Lyft seem to have monopolized the ride-share market, for now. A good experience starts from the beginning. If onboarding is a really great experience, drivers will bring that to their customers too. 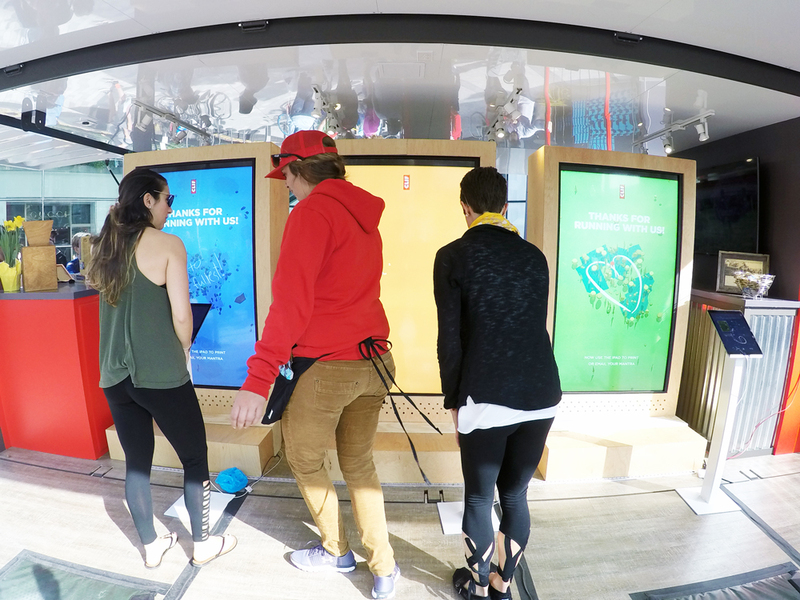 Show riders how to be a brand advocate in a space that immerses them in the brand culture. 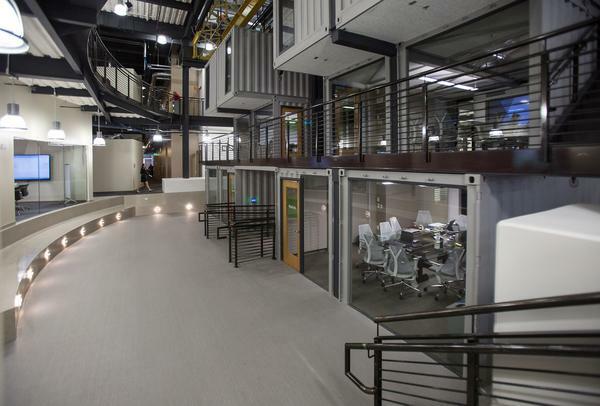 Shipping containers are great for office space. 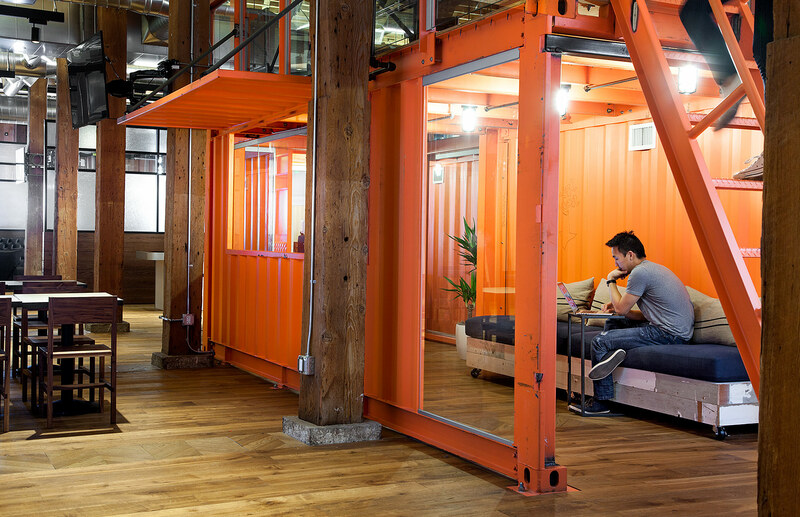 Just check out the work we did for the GitHub and Citrix offices. 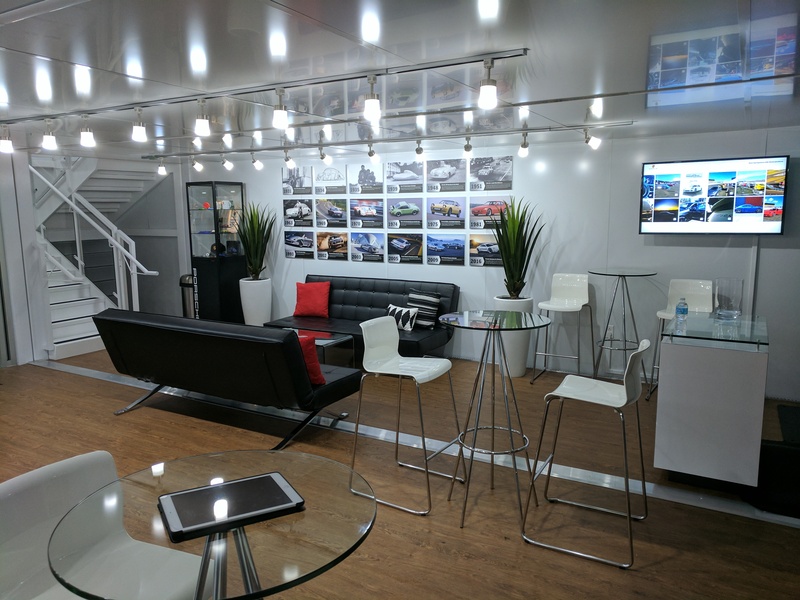 Because shipping containers are designed to be moved, traveling office spaces can be moved around for market testing, training, or stand still in mid-size markets for Community Program Managers, Community Associates, and Leads in Driver growth can use to recruit and train new drivers, all while inspections are conducted. Containers help create a space where drivers can be completely immersed in your ride-share’s brand experience. 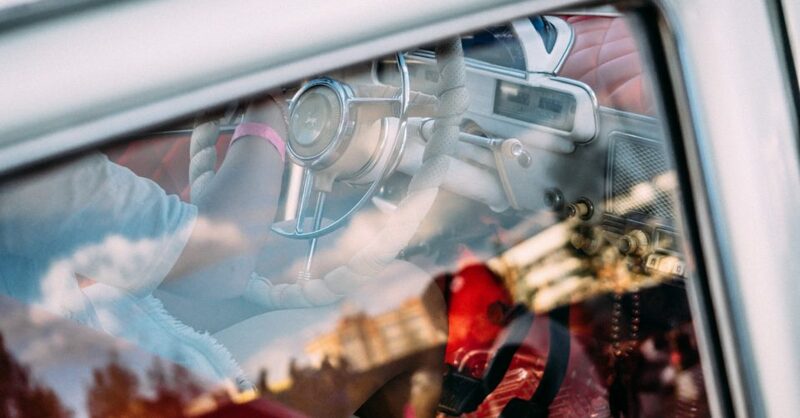 Some great examples of brand immersion include our work with Porsche, for their ride and drive experience, and Clif Bar, for their nation-wide tours. 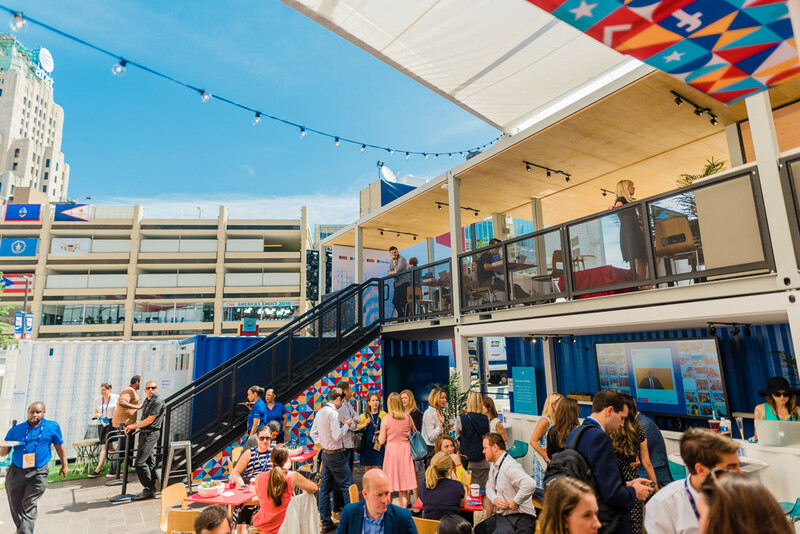 Shipping containers allow brands to continue developing and changing the design of their physical space to best communicate the brand experience. Semi-permanent vinyl wraps, flexible footprint configurations, and turnkey customization options make your space versatile enough to accommodate a range of uses including training, recruiting, community engagement, and experiential marketing. We believe that physical space says a lot about a business and its impact on the community. This idea is best embodied by our tenet of Third Placemaking, to use physical architecture with an understanding of communal space to develop public and private environments that nurture community and authentic interactions. 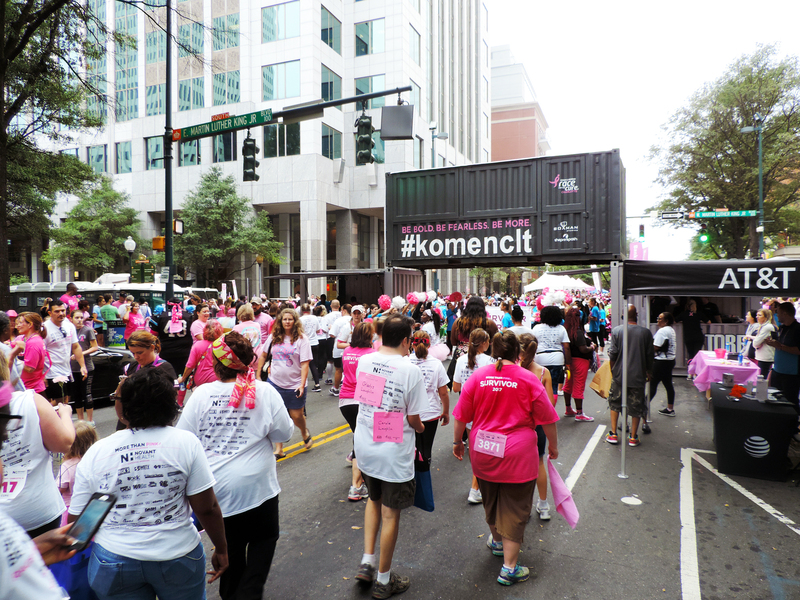 To see how public space can be used to develop community, see our work for Facebook and Susan G. Komen Race for the Cure. You can see from these images that when designed and configured in just the right way, containers make a space a focal point. They draw looks and draw people in. Because our business is a one-stop-shop for turnkey shipping container solutions, our clients have the advantage of working with designers who are familiar with shipping container architecture. It’s their second nature to utilize the available footprint and negative space to encourage community gathering.